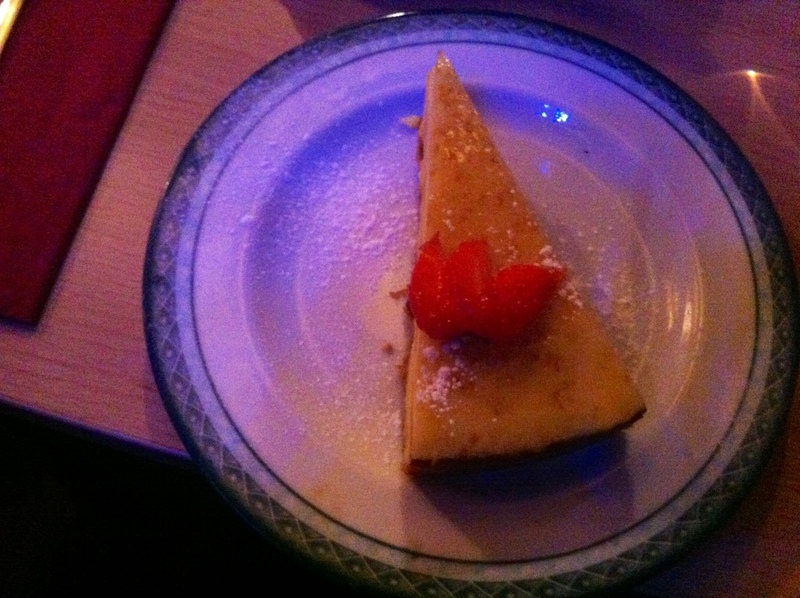 A review of Tzigano’s, an Italian Restaurant in Blackheath, SE3. I was feeling a tad- Italian Restaurant jaded as we found ourselves heading for Tziganos. There are quite a few of Italian restaurants in Blackheath (currently I count six including the chains), and it is easy to assume that they would all be the same. They’re not. I should be exact, Tzigano’s website says that it is a Mediterranean cuisine rather than Italian. It’s lovely and cosy inside Tzigano’s. We were happy before we ate a single morsel. The menu itself was a rewarding read, prepared with detailed effort and different inks for different types of food. There was a fabulous set menu with a wine list focussed on flavour types rather than red or white nestling in with the food. There was a ‘hand written’ write up about how Tzigano’s is Italian for wandering gypsies the two chefs who set out on their own to supply us with authentic Mediterranean dishes in authentic surroundings. I’m afraid that the pictures here will be poor. 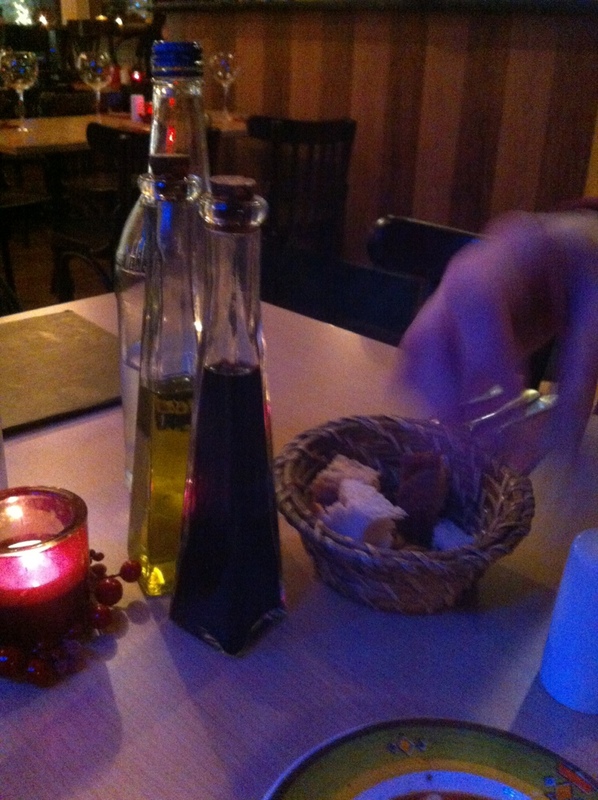 The lighting was dimmed and we were overlooked by more staff than customers. I believe they were only there to ensure we didn’t photograph the interiors. All of our drink quandries were settled as soon as we sat down by being offered mulled spice cider. We liked that. 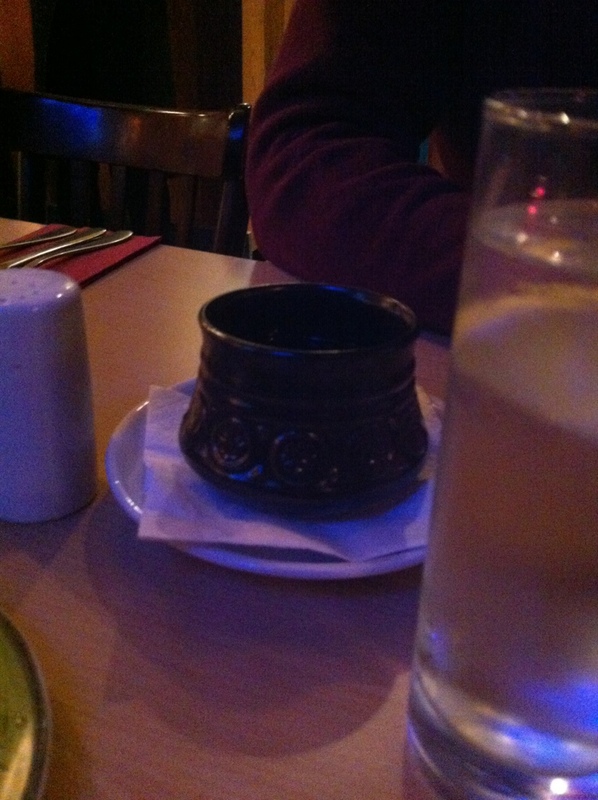 It was served in what I thought were cast iron mugs that turned out to be 70’s brown ceramics. I remember my mum throwing those out and I had been glad to see the back of them. 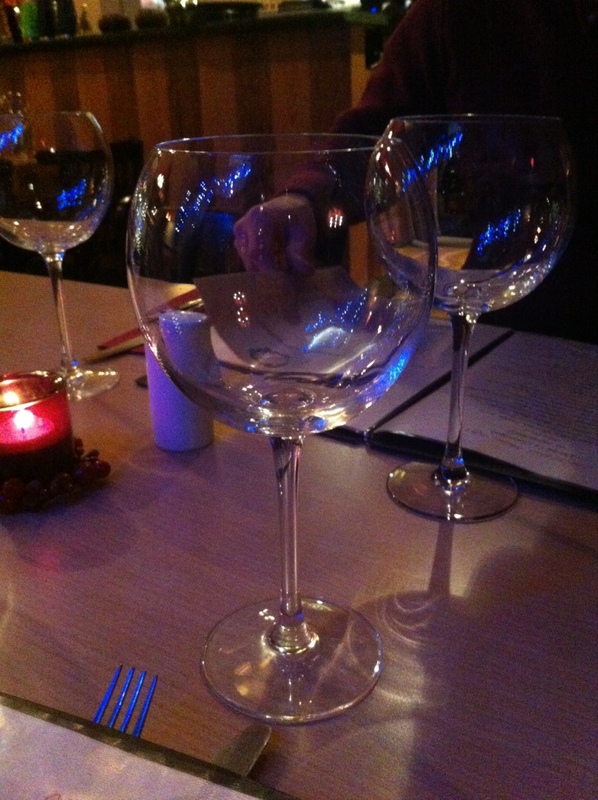 Oh, and important to note: They have those really big round glasses that every other restaurant snatches away from your table when you order wine by the glass. We laughed knowingly to ourselves as they removed them once we had ordered, only to be surprised when they returned with them full of the wine. I actually got to drink out of a pretty round wine glass. Perhaps they have been reading this blog. We all went for the set menu, there was lamb wellington on it. I don’t know if that is authentically mediterranean, but you can see that this may not have been my top priority when confronted with lamb wellington, right? 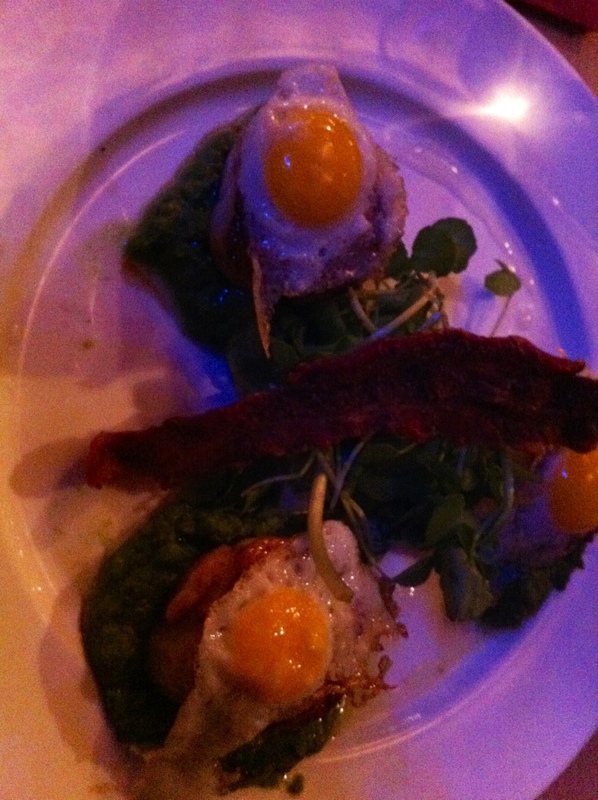 For starters I had the scallops with quails egg, and peas. About a zillion years after ordering, they eventually turned up tasting as if they had been sitting underneath heat lamps while everyone else’s mushrooms were prepared. They were rubbery, and the yolks cooked solid through. It was the quails eggs that tempted me to try yet another scallop dish, but as an overall combination I was intrigued: Was it bacon and egg, or bacon and peas… no hang on it was scallops. Everyone else ordered the mushrooms. They seemed happy. When I asked afterwards, I was told they excellent. I do words. They do smart food-ordering. We waited for the lamb wellington. We waited longer for the lamb wellington. We reached the all sit around with our hands holding up our chins sort of fed up stage. We were on our iPhones trying to look for date stamps of photos to prove how long we’d been waiting. The waitress came to tell us how great the lamb wellington would taste. We believed her, but she was worried. But when the lamb wellington arrived, it was fabulous, unstoppably edible, a bit with potato, a bit with veg, a bit with a little more pastry..
Desserts sounded great. Cheesecake brule sounded like the perfect resolution of the rather irritating habit that cheesecake has of being mostly cheese. However the key turned out to be in the ‘lightly’ bruleed. It was alright. Some chefs just aren’t dessert chefs and should be appreciated for their other skills. I think the tardiness of the kitchen might have been a one off. Later customers seemed not to struggle in the same way. And the waiting staff and the man we suspected of being the owner were impeccable (Boulangerie Jade , I love you… But are you listening..?!) both showing a real passion for the food that was being served. They and offered us limoncella shots after the tip question was long gone. 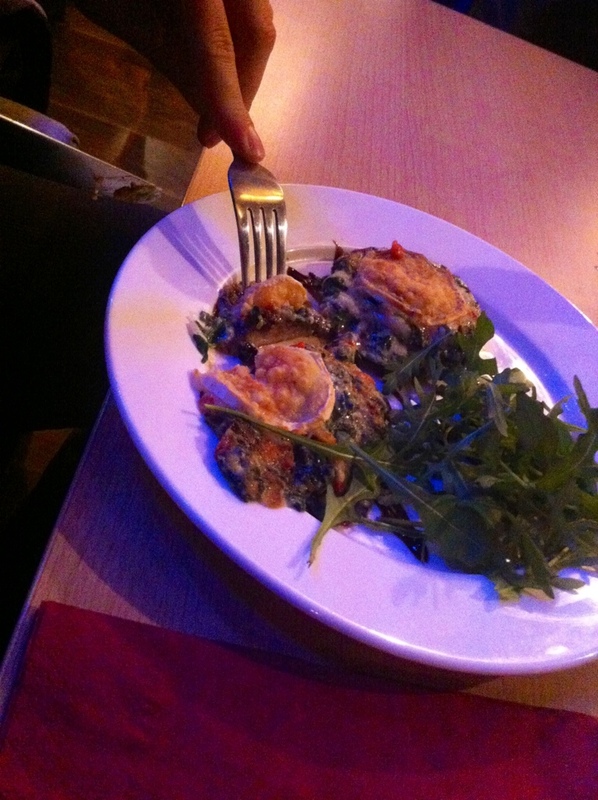 This entry was posted in Blackheath, Restaurant, Tziganos and tagged Blackheath, eating out, Italian, lamb wellington, restaurant, Review, scallops, SE3, tziganos, wine by blackheathcoffeeshops. Bookmark the permalink. look. I’m definitely enjoying the information. Fantastic blog and brilliant design.